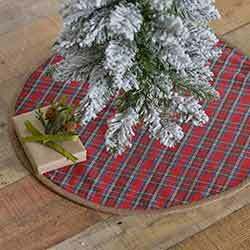 Invite a lodge look into your Christmas morning memories with the soft cotton and felt Gavin 21 inch Mini Tree Skirt. With rich holiday colors, the all-cotton Gavin Woven Throw 60x50 is ideal for comfort on cold winter days as well as an upstate lodge accent any room. 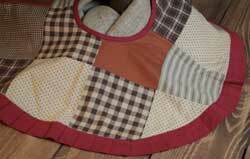 Genevieve Quilted Tablerunner, by Nancy's Nook. 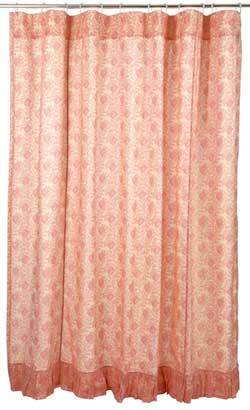 The Genevieve Collection features soft floral pattern of pink tones, with scalloped echo quilting. This is for the Tablerunner, in the 36 inch size. Measures approx 13 x 36 inches. 100% cotton. Genevieve Quilted Tablerunner, by Nancy's Nook. The Genevieve Collection features soft floral pattern of pink tones, with scalloped echo quilting. 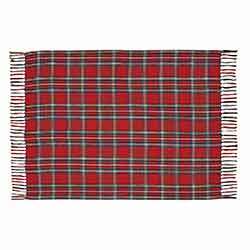 This is for the Tablerunner, in the 48 inch size. Measures approx 13 x 48 inches. 100% cotton. 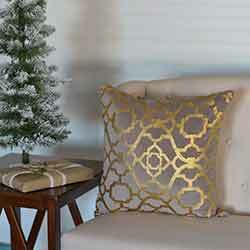 Genevieve Shower Curtain, by Lasting Impressions. 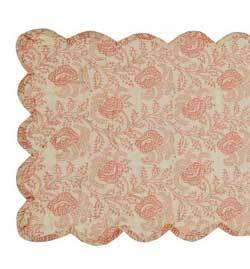 The Genevieve Collection features soft floral pattern of pink tones, with scalloped echo quilting. 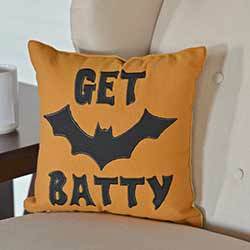 This is for the Shower Curtain. Measures approx 72 x 72 inches. 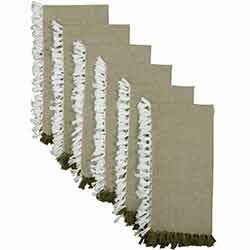 Has buttonholes along the top for your shower curtain rings, and a 3 inch rod pocket. 100% cotton. 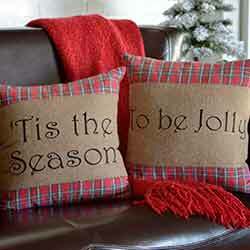 Measurements include a 5 inch ruffle along the bottom. 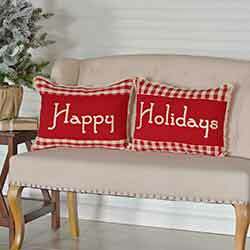 Features patchwork blocks of homespun fabrics in a warm gingerbread brown and off white, with ruffled trim in cranberry red. 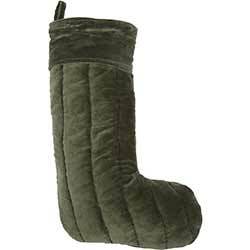 Measures approx 23 inches. 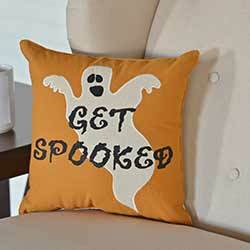 Perfect for fall, the neutral look of this decorative throw pillow will fit perfectly into any decorative style, from farmhouse to modern! 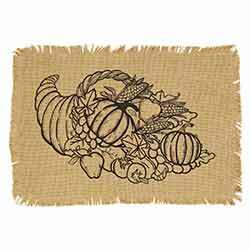 Made of a soft natural cotton burlap with a creme cotton canvas, with embroidered wording appliquéd on the strip in the center. Celebrate gratitude in the home and kitchen with the Give Thanks collection. 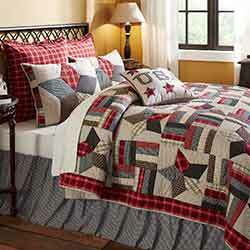 Relax away in your bedroom with a dose of Americana with the Glory Patchwork Quilt Set! This is for the King size. Relax away in your bedroom with a dose of Americana with the Glory Patchwork Quilt Set! This is for the Luxury King size. Relax away in your bedroom with a dose of Americana with the Glory Patchwork Quilt Set! This is for the Queen size. Relax away in your bedroom with a dose of Americana with the Glory Patchwork Quilt Set! 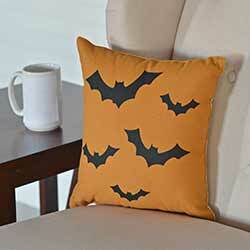 This is for the Twin size. 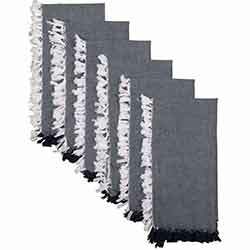 With superior softness from velvet cotton, this 72 inch table runner will crown your table with festive extravagance. 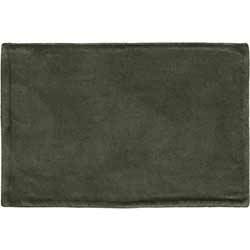 A soft sage green is balanced with matte texture. 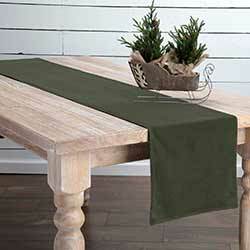 With superior softness from velvet cotton, this 90 inch table runner will crown your table with festive extravagance. A soft sage green is balanced with matte texture. 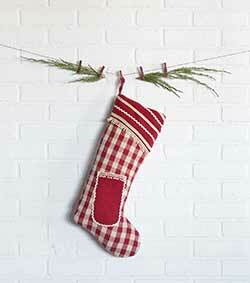 With superior softness from velvet cotton, this stocking is sure to make Santa happy when he fills it with goodies on Christmas Eve! A soft sage green is balanced with matte texture. 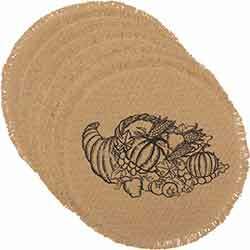 With superior softness from velvet cotton, these placemats will crown your table with festive extravagance. A soft sage green is balanced with matte texture. 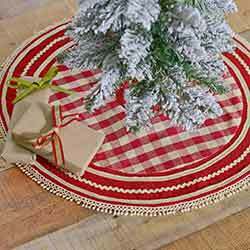 The Gretchen 48 inch Tree Skirt features cherry red and creme check cotton with rows of rick rack and railroad lace under which is a soft burlap layer. 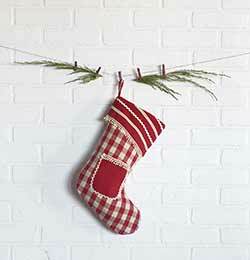 The red and creme check fabric of the Gretchen Stocking lends the perfect touch to any red and white Christmas decor, great for a Nordic or country look! 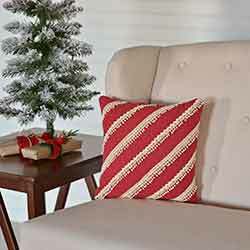 The red and creme check fabric of the Gretchen Long Stocking lends the perfect touch to any red and white Christmas decor, great for a Nordic or country look! 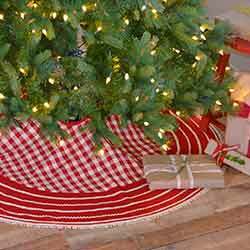 The Gretchen 21 inch Mini Tree Skirt features cherry red and creme check cotton with rows of rick rack and railroad lace under which is a soft burlap layer. 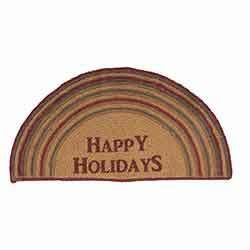 The Happy Holidays Stencil Jute Rug Half Circle welcomes all your visitors with a festive message. 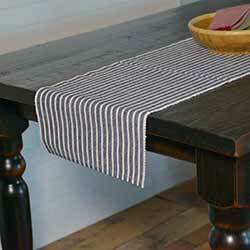 Accent your country farmhouse table with this runner, in a vintage stripe of navy blue and cream. Go for the bold in our thickly-striped Harmony Navy Napkin Set of 6. 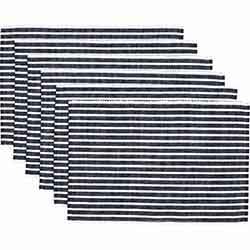 Go for the bold in our thickly-striped Harmony Navy Ribbed Placemat Set of 6. 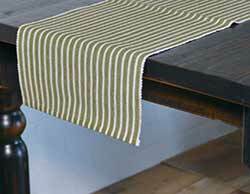 Accent your country farmhouse table with this ribbed table runner, in a vintage inpired striped pattern of soft olive green and cream. 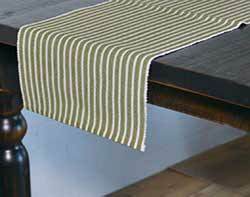 Go for the bold in our thickly-striped Harmony Olive Napkin Set of 6. 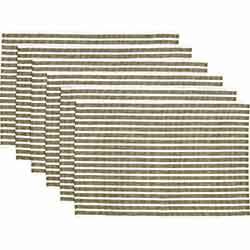 Go for the bold in our thickly-striped Harmony Olive Ribbed Placemat Set of 6. 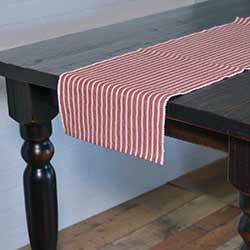 Accent your country farmhouse table with this ribbed table runner, in a vintage inpired striped pattern of weathered red and cream.